Fig. 4. 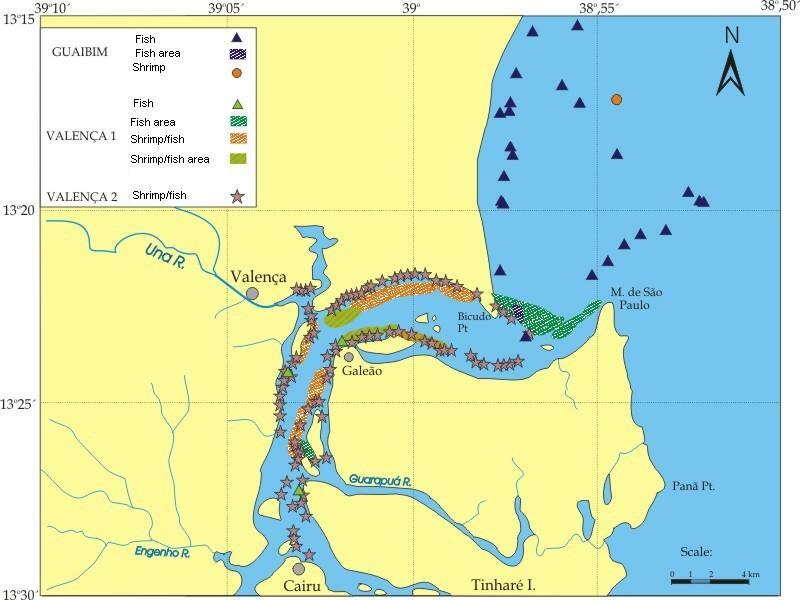 Fishing spots marked by two informants in Valença, Bahia State, sites Valença 1 and 2, and Guaibim, Bahia State in 2002.